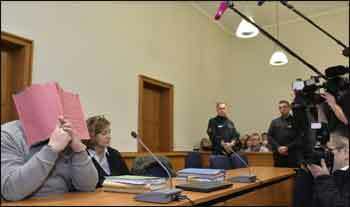 BERLIN: German prosecutors say they believe a nurse who is serving a life sentence for two murders may have killed more than 100 patients. Prosecutors and police in Oldenburg that they have now completed examinations of patients who died in Niels Hoegel’s time as a nurse at two local hospitals and have found a further 16 cases in which he is suspected. In late August, they said they had determined that he might have killed at least another 84 patients beyond the ones for whose murder he is already serving time. Prosecutors have already said that they expect to bring more charges by early 2018 against Hoegel, who gave patients overdoses of heart medication and other drugs because he enjoyed the feeling of being able to resuscitate them. Medical Dialogues team had earlier reported that a male nurse jailed for life two years ago for killing two hospital patients with lethal drug overdoses murdered at least 90 patients in total, and possibly twice as many, police said, calling it post-war Germany’s worst killing spree.